Bisexual veterans are more likely to experience mental health issues such as depression and post-traumatic stress disorder than their straight, gay or lesbian counterparts, a new study indicated. Lead researcher Katie McNamara, a US Air Force Captain and a third-year doctoral student at the University of South Carolina whose research area focuses on LGBT service members and veterans, explained that her study explored an issue that is rarely addressed in academic papers. “There’s quite a bit of research on military and veteran mental health and LGBTQ health, but very little that combines the two,” McNamara said in a statement published in Medical Xpress. 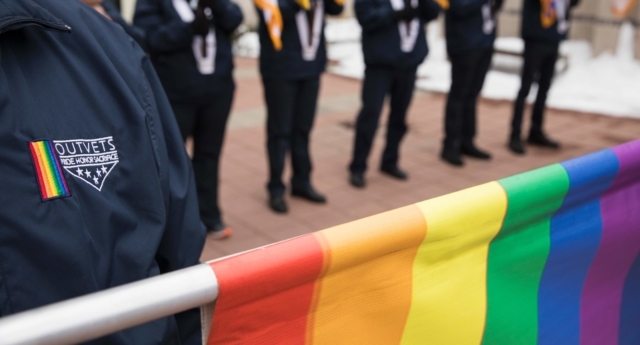 According to the researcher, the number of bisexual people serving in the military may also be higher than current estimates indicate. “Bisexual individuals are less likely to be ‘out’ than their gay and lesbian counterparts—and more people are attracted to both men and women than identify as bisexual,” McNamara said. Her study, “Mental health of the bisexual veteran” is yet to be published in a peer-reviewed journal, but her findings indicate that the population of bisexual veterans is 2.5 times more likely to suffer from severe depression and 2.3 times more likely to suffer from PTSD than their heterosexual peers. “Even when I controlled for a wide range of specific demographic and military-related variables that might put some populations at higher risk for certain mental health issues, the results still indicated that bisexual veterans fare more poorly in terms of mental health outcomes,” she said. One of the reasons why bisexual veterans are at higher risk of mental health issues, according to McNamara, has to do with bi erasure —the insistence that bisexuality is “a phase” or somehow invalid. “If a person is experiencing a lack of validation and affirmation of a critical component of their identity, they may suffer mental consequences from this lack of support,” she said. Her findings are consistent with a growing body of research indicating that bisexual people are at higher risk of facing mental health issues than gay, lesbian and straight people—data that prompted the LGBT rights group the Human Rights Campaign to establish bisexual health awareness month in 2013.